The City of Delaware is the seat of Delaware County, located about 30 miles north of downtown Columbus. Delaware is an independent community that retains its small town qualities while benefiting from northward growth of the Columbus region. Delaware County has been the state’s fastest growing county for more than a decade and is among the top-20 fastest growing, wealthiest and most-educated areas in the nation. A fast growing component of the population is young families. Delaware County is a net importer of workers from throughout Ohio to its many employers. The City of Delaware is served by the excellent rated Delaware City School District, Olentangy Local School District and Buckeye Valley Local School District. Delaware history is carefully preserved in the many 19th century buildings and homes, comfortable scale and architecture, and the pace of life as a home town. Delaware culture is rich with the Central Ohio Symphony; dance, theater and art programs through Ohio Wesleyan University and arts education from The Arts Castle. 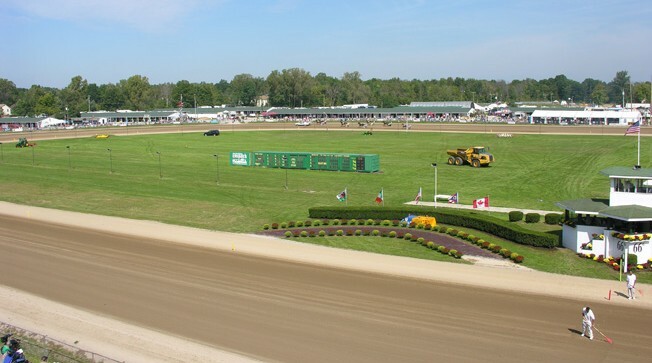 Popular traditions related to The Delaware County Fair, the All-Horse Parade and The Little Brown Jug, the crown jewel of harness racing’s Triple Crown, say something about the roots of Delaware’s values and the desire to know your neighbor. Highbanks Metro Park provides exceptional nature and hiking trails. Alum Creek State Park, Delaware State Park, Hoover Reservoir and the O’Shaughnessy Reservoir offer boating, fishing and camping. Preservation Parks of Delaware County is a network of nine parks preserving green space and providing environmental education. Olentangy Caverns, a network of caves formed millions of years ago by the relentless action of an underground river, lets visitors descend 105 feet to explore an amazing world where the temperature is a constant 54 degrees! Other nearby attractions include the Columbus Zoo and Aquarium, Zoombezi Bay, Perkins Observatory, Polaris Fashion Place and more than a dozen public golf courses.